Annabel did a lot of reading while she was home with pneumonia. One of her favorite books was Good Night Stories for Rebel Girls (which I hiiiiiighly recommend for kids). She’d flip through the pages and shout out little facts about the women she was learning about, like Ada Lovelace or Mae Jemison. She was particularly intrigued by Malala Yousafzai and some of the other young activists featured in the book. She went off to her room with some paper and colored pencils, and we thought that was the end of it…until she returned a few minutes later with a stack of signs. “OK! Let’s go put these up around the neighborhood!” Mike and I were like, “Uhhhh…” but she insisted, so off we went. Her signs were so earnest (and so funny). STOP! Being mean! START! Being nice! STOP! Saying no to good! START! Saying yes to good! After she hung up all of her signs, she said, “I think I deserve some ice cream now.” Well played. Can’t wait to see what else this girl does to change the world. Those are great! Annie, you did better than I ever could have. What a fantastic kid you two are raising! Keep it up, Annie. We need more people like you. Annie,You can be the leader of our country one day!You are so kind and thoughtful! What a resilient girl! Can’t wait to see what James does as well one day (so glad to hear he is also okay, btw! Hope you are all doing well now)! You’ve a very thoughtful family! Oh goodness, I love Annie’s sweet heart. Although I hope we have a woman president long before she’s old enough, if we don’t, I would be elated if it was her. P.S. I watched the documentary on Malala and it’s wonderful. Some parts might be a little intense for her but it if you skipped those I am sure she’s love it. Okay, how cute is she??!!! That’s awesome. Such a great kid, with such a wonderful heart. No, but that’s such a great idea! This is very popular in Grand Forks ND, too. There is a Facebook Group “Grand Forks Rocks” where people are supposed to post a pic of the rocks they find & location, then either re-hide or keep the rock. It’s fun to see where they travel. It could be a fun for Annie to look up places on the map and see how far they have travelled. With more kids like her growing up I have hope for our country and the world. Kids are our next generation and she has a great start!!! Good Job Mom and Dad! That is fantastic, you have to be so proud of that girl! Wish more people were like her! What we could all learn from a Second grader?? Love this age…. full of sass and love all at the same time?????? You are doing a great job! You should be proud!! And I live in Pennsylvania and the rocks are around here…. look up kindness rocks???????? Aw jeez *sniffle* I just love her kind heart. Never stop being kind, Annie! We need it! I’m a firm believer that if you change one person, you’ve changed the world. Your little girl has, no doubt, changed the world. What a great idea or have Annie select a charity she wants to support and get a tag from the organization and wear it as she trick or treats in the neighborhood. It adds legitimacy and I imagine your neighbors will be happy to donate. What a precious child. Great job, Heather & Mike! 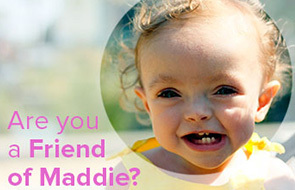 take a look at the website annie could become an ambassador. if only we were all focused on making the world a better place like dear Annie!! She’s going to do good things in this world. Actually, she already is! You Spohrs are doing this parenting thing awesomely. This is so amazing. It starts small and grows. Way to go Annie! !